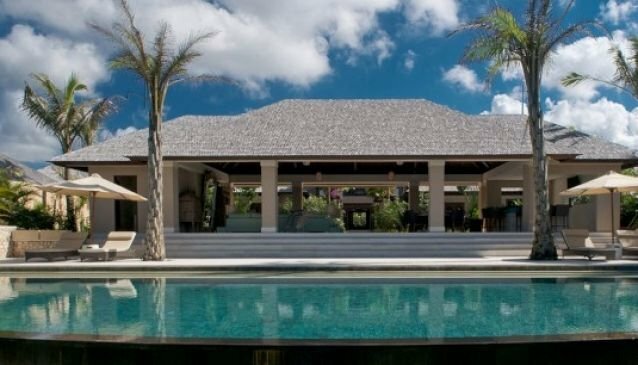 Panoramic ocean views and 7 large architecturally refined five bedroom villas on 7.5 hectares of manicured tropical gardens. Semara Luxury Villa Resort is a place for the few. Each of Semara's seven villas offers an exclusive haven of privacy with 30 meters of cliff frontage and private swimming pools overlooking the ocean. Villa Chintamani, Villa Nora, Villa Sorga, Villa Jamadara, Villa Tamarama, Villa Pawana, Villa Ambar, Villa Guest Suites, 10 bedroom Villa. Enjoy the comfort of your exclusive villa, tantalising your taste buds at Selatan Restaurant or enjoy a playful day of water-sports on the white sands of Finn's Beach Club, Semara Uluwatu is where memories are made. There is a 28 metre lap pool, a professional golf putting green with pond and a state of the art gym overlooking the Indian Ocean. Have a friendly game on one of two floodlit tennis courts. Visit the Semara Spa and indulge in a signature spa treatment in the therapy room.